Oh So Much Greater At Night! The Great Pumpkin looks even greater at night! :) The night owl too! The third pumpkin is still being carved. It will be added if it's ready in time. Happy Halloween! 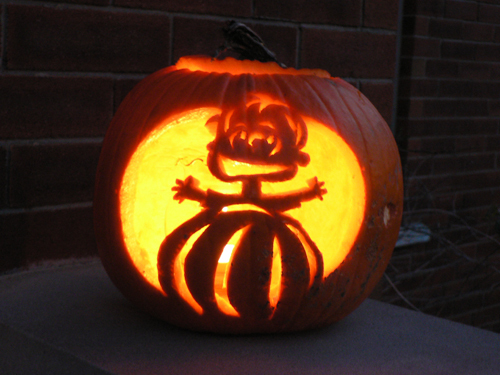 Emma carved two pumpkins yesterday evening while studying for end-of-term tests and completing assignments. She is spending Halloween at a friend's house. I like the way her Linus and Great Pumpkin turned out. 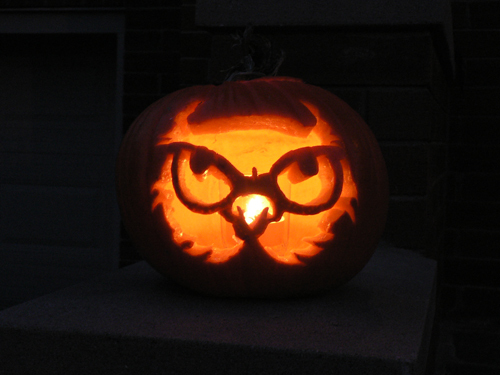 She also carved a Halloween owl. She did both using patterns she found online. 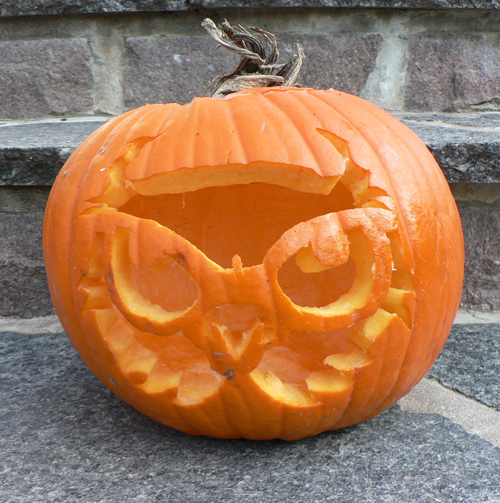 In past years, we have carved some pretty intricate patterns on at least five pumpkins. This year, we will just have three. I find that I am losing my enthusiasm for Halloween as the girls grow older, not that it was ever my favourite occasion. In Quebec, people go all out with Halloween decorations in their front yards. 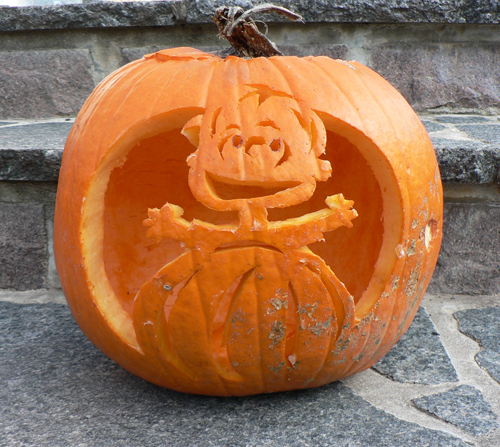 I did most of my growing up years in Toronto and don't remember much more than a pumpkin outside of most homes. Here, people create graveyards and elaborate wooden structures. Lots of time and energy goes into it. Chloé plans to carve a pumpkin in between when she arrives home from school and when she goes out trick-or-treating. That's another difference between Toronto and here. High school students go from door to door just like the little kids. My rule is if they're polite and have made some effort with a costume (they're not just in street clothes holding a bag), I will give them candy. We usually give out over 200 bags at our door. I am working on some other images to put in my Etsy store. It is slow, painstaking work scanning the paintings and then creating the print version in Photoshop. I worked for a few hours on one image yesterday and had to redo everything today. It's all part of the learning curve but it can be tiring. 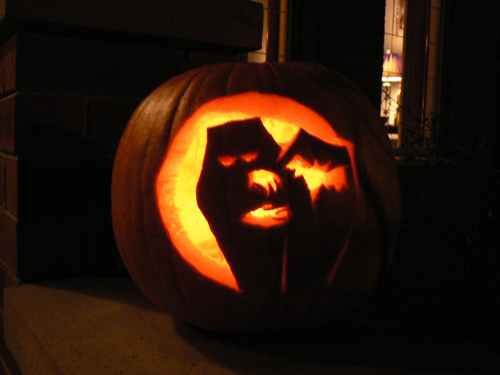 Have a safe and happy Halloween wherever you are. Let the bells ring and the birds sing. After weeks of preparations and months (maybe years) of thinking about it, my Etsy store is about to open!!! At the top is an image I am including in my Etsy prints. I created this painting as a gift for my younger sister Nancy a few years ago. I asked Nancy if I could borrow back the painting in order to make a print from it for my Etsy shop. She said 'yes' right away. Sisters are like that. We are different in some ways but share many similarities too. We are both sensitive, creative people. We love colour, nature, music and beautiful things. We are devoted to our families. We each have two daughters. In fact, our eldest daughters were born just one day apart. We live six hours away from each other. We email each other often, whether about good days or bad days. When we do get together we have fun. When I'm with Nancy, I am assured of at least one laughing fit (you know the kind--you laugh so hard that your stomach hurts, there are tears running down your face and you can't get any words out, but it feels so good). Nancy has had an Etsy store for the past three years. She designs beautiful jewelry and I wear her things just about every day. She really encouraged me to think about selling my artwork on Etsy, so if I'm here today opening my shop, I need to say thanks to her. I have another sister too. My sister Karen has special needs. Despite our differences and a 19-year age gap, we are incredibly close. Karen and I share a love of music, animals, films that require kleenex and the colour purple. We know that if one of us is feeling bad, we can count on each other for some encouraging words. Karen is the sweetest person I know. 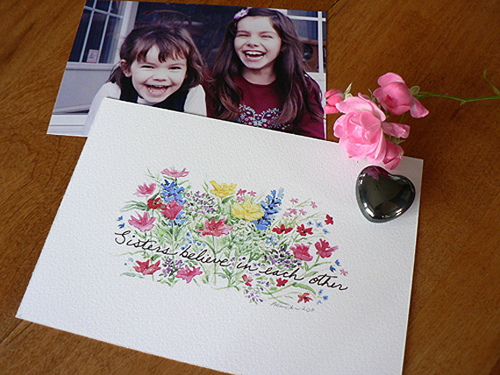 My own teenage daughters haven't felt so close in recent years (the beautiful photo below was taken when they were about 9 and 5), but lately I can see their friendship starting to blossom. That makes my heart happy because having a sister as a friend is a beautiful thing. What an incredible amount of work it has been getting everything ready. The photography alone has taken me days. I hope I get faster and better at it! 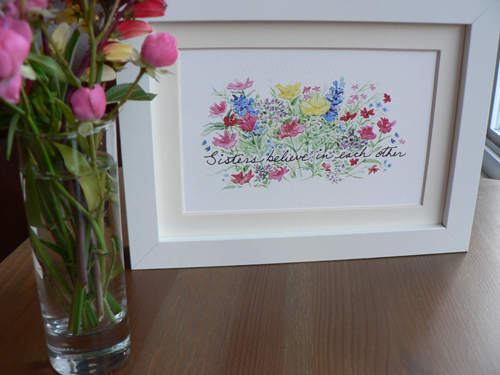 I will continue to add images to my shop in the weeks ahead. Check back often. I am offering a 20% discount to all customers during the first week to celebrate my opening. The coupon code is noted at the top of my shop page. Thanks to all of you for your encouraging words over the past few weeks and for the lovely comments you have left for me. While I'm photographing and fiddling and figuring things out for my Etsy shop opening, I thought I might as well hold that giveaway I promised you! 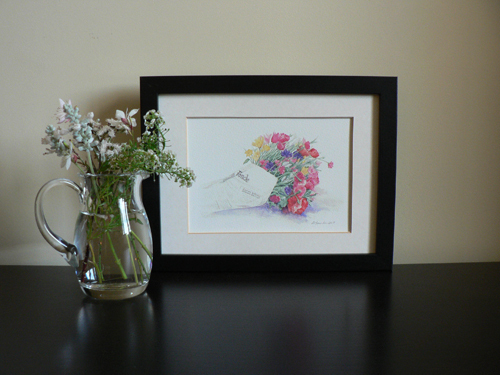 For anyone who is new to my blog, these are archival prints based on my original watercolours. 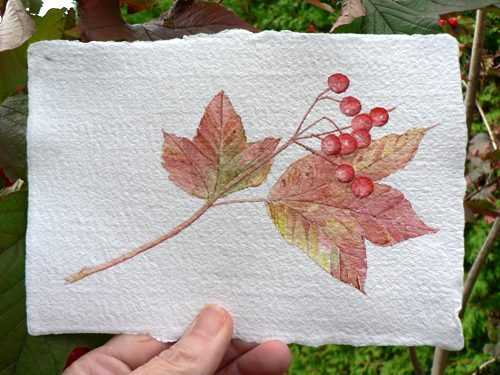 They are printed on beautiful, thick textured paper that looks very much like my watercolour paper. So what are you waiting for? Don't be shy. Start commenting! Now I have to get back to photographing things while the light is good! You have until midnight Eastern Time (Canada) this Friday, October 28th, to comment. One comment only please (don't forget to mention your favourite) and make sure I have a link or way of contacting you. I will announce the winner's name on Saturday morning. My Etsy shop will open sometime during the day on Friday. I will install a little widget at the side of my blog once some products are inside the store. Be sure to have a look as I will be having an opening special. Well, for sanity's sake, I had to put a new post up so I didn't keep having to look at the moody photos of my last one! If Mother Nature isn't going to supply the blue sky, I will do it myself. This painting is quite unusual for me. There isn't a lot of detail. It is more impressionistic than many of my works and I really like the way it turned out. It's no place in particular--just a happy, sunny spot in my head. 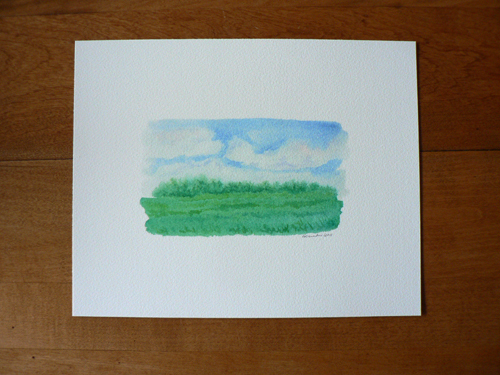 I can imagine plopping myself down in the middle of the field and watching the puffy clouds go by. It's actually the print rather than the original painting showing in both photos and I think it has turned out quite well. I went for a walk with Meeko and my daughter Chloé this afternoon. It's kind of a grey and moody day here. 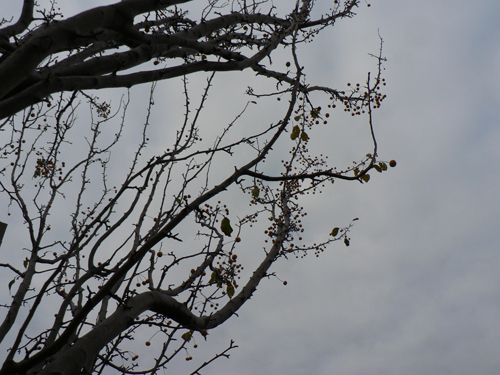 These photos were taken around 3:00 p.m. so it gives you a sense of how dark it is today. There is actually snow in the forecast in the week ahead, not much, but any at all is too much at this point of the year. 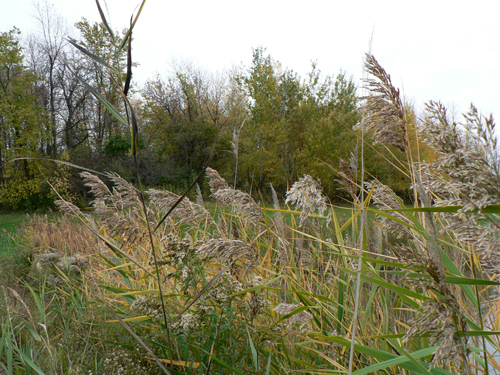 I guess it's best to get out and enjoy the autumn landscape before everything is covered with snow. 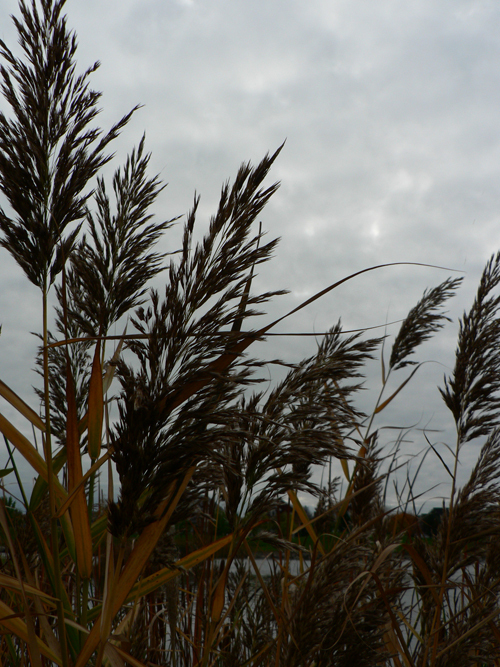 Can you tell which way the wind blows around here? We both brought our cameras, so some of these photos are taken by me and some by my all-star daughter. It was not the normally fast-paced walk that I usually take with Meeko but he seemed perfectly happy to be part of the photo crew. 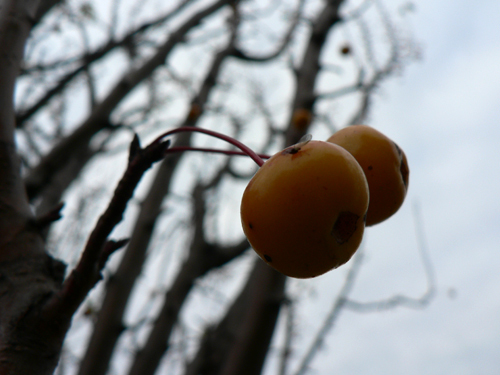 I took a photo of our columnar crabapple tree looking up. I think it has a Halloween feel to it. Maybe there should be a raven perched at its top. And finally, I took a macro photo with a special surprise. I had no idea there was a bug on one of the crabapples until I viewed the photo on my computer screen. Boo! 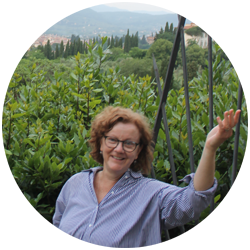 Have you noticed a big change to the look of my blog? I changed the header yesterday and I feel better that it is now my artwork at the top of the page. When I started my blog in August, I used one of the Blogger templates. It was attractive but not personal. I loved the periwinkle blue background of the former design (periwinkle is one of my very favourite colours) but my daughter Emma encouraged me to go with plain white. She said my photos and artwork would look better against a white backdrop and I think she is right. There is a big week ahead. Be sure to check in every now and then. I will be putting some prints and cards into my new Etsy store and I will announce it here first. Also, I will have a special giveaway for my readers to celebrate my opening. It is so dark here these mornings. We are all reluctant to get out of bed. Somehow even opening our eyes seems too much to ask. It's been very rainy the past few days. There was a huge thunderstorm just as the girls got off their schoolbus yesterday. Emma and Chloé are lucky and only have to walk (or run) two houses down. I actually jumped in the car and chased one of Emma's friends as I didn't want her walking home in the storm. She was quite wet when we got to her but was grateful for a ride the rest of the way home. It took her a moment to realize why the crazy lady was honking at her. The cloudy weather is making the garden look very beautiful this morning. A grey outfit can be the perfect backdrop for colourful accessories. 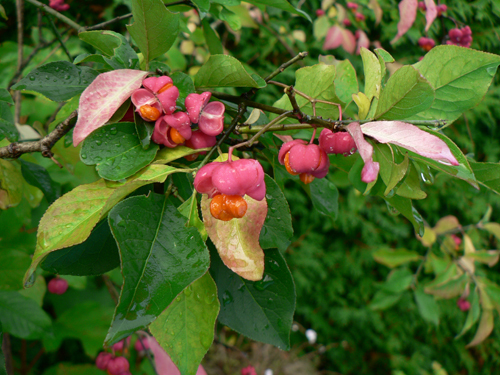 The orange and red fruit of the spindle tree is looking particularly elegant. Isn't its fruit interesting? It's like fairytale popcorn. 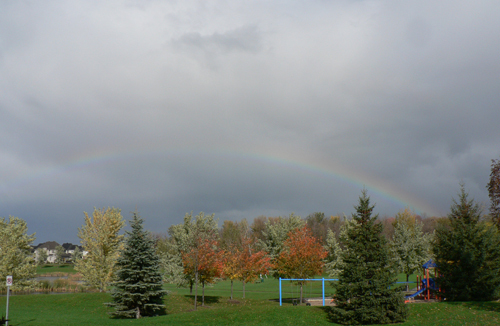 Yesterday when I was walking Meeko, the rain suddenly stopped. 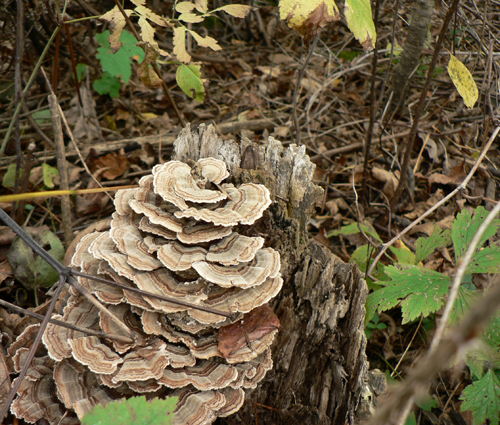 There was a huge chorus (and I mean huge) among the birds in the forest. It made me wonder if they sit around talking about the weather like we do. Look! The sun, the sun! I see it too! Enough about the weather. I have made great progress on my Etsy store. I now have my shop name registered (trowelandpaintbrush) and my banner up!! I am quite excited! 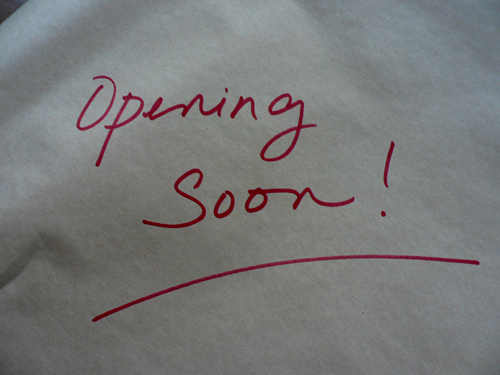 There is nothing in the store for the moment but there will be in the next week. I feel like I'm at the point where if it was a store at street level, the sign would have just been painted but the windows would still covered with brown paper. Have a look here if you'd like. I'll let you know here the moment that there is something in it for sale. I also will offer a special giveaway to my wonderful readers! Have a great weekend. I had to go outside of my yard to find maple leaves. Our garden is too narrow for a tree of that size. Maple trees at maturity can range from 30 to 145 feet in height! 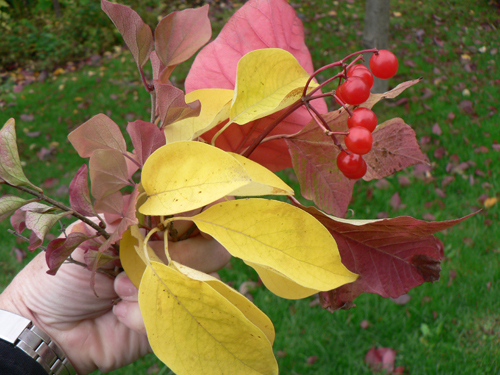 On my walk with Meeko yesterday, I picked up several maple leaves of different colours. I think that one of the most distinctive and beautiful aspects of maples trees is that their autumn display can include an array of colours: red, orange, yellow and green. Even one leaf can contain more than one colour. 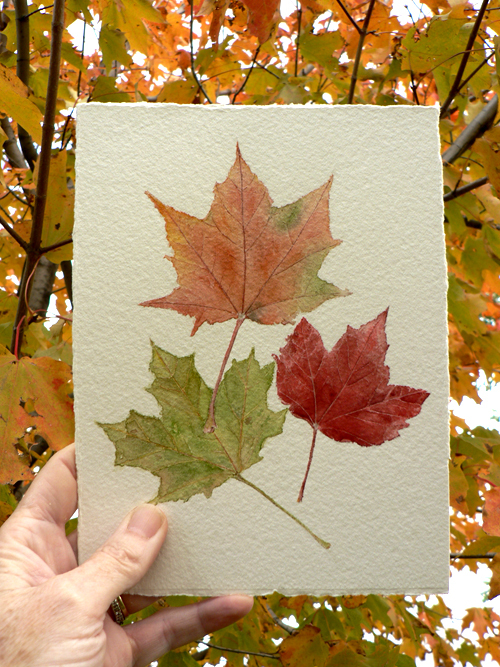 I really enjoyed painting these leaves and I don't think you need to be Canadian to appreciate their beauty (plus they do grow elsewhere!). Maple trees can also be appreciated by anyone with a sweet tooth as they are the source of, what else could it be, maple syrup! Of the Canada that I love. 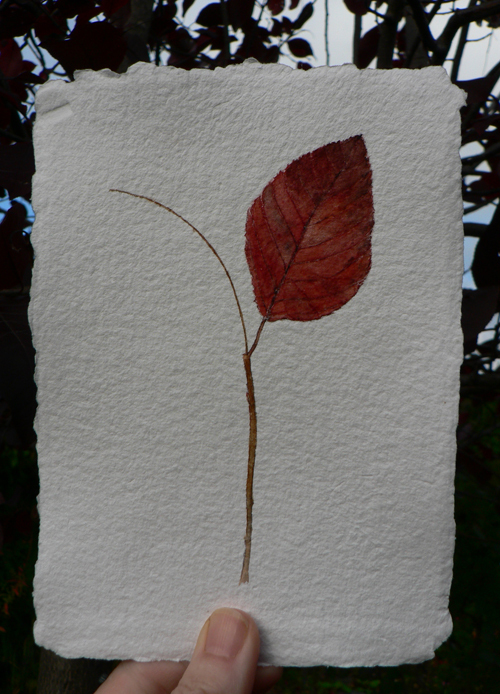 I am continuing my leaf paintings. 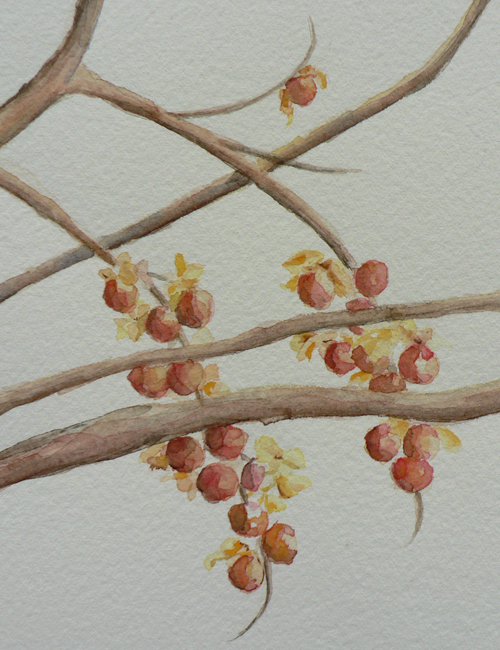 Yesterday, I picked a bouquet of leaves before deciding which ones to paint. 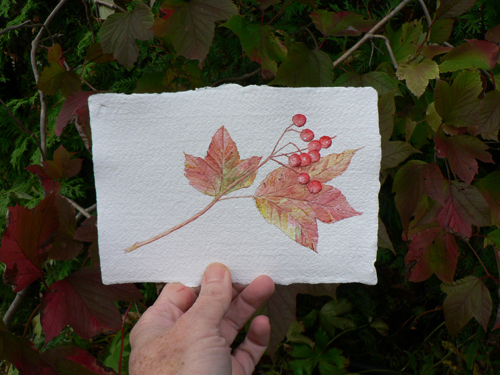 In the end, I chose to paint the leaves and berries of a beautiful shrub called highbush cranberry (viburnum trilobum). 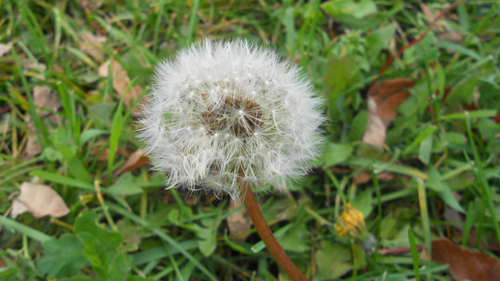 I grow it in my garden but also have noticed it growing wild in neighbouring forests. The berries on this bush are lovely. 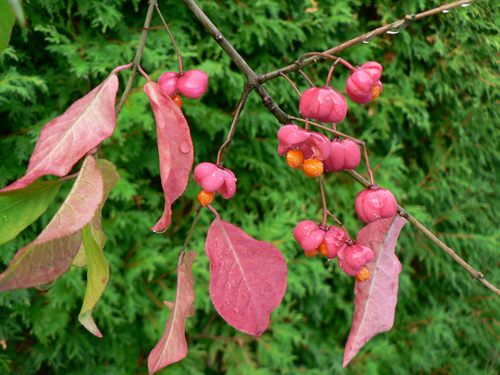 If I'm very lucky, the berries will stay on the shrub long past when the leaves have fallen. They are particularly beautiful when covered by frost or a thin dusting of snow. Unfortunately, I rarely see them in that state as sometime soon I expect a roving band of marauders to swoop in and steal my ruby treasures. I am referring to those masked bandits, the cedar waxwings. A little aside: I love Google! I could not think of the name of the cedar waxwing (brain freeze) so I typed in "bird mask eats berries flock". Cedar waxwing popped up as the first entry. It has been rainy and very windy here this weekend. 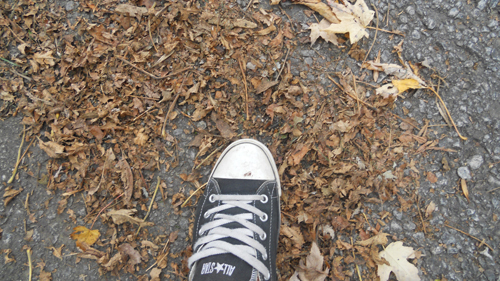 The leaves are falling in huge numbers. 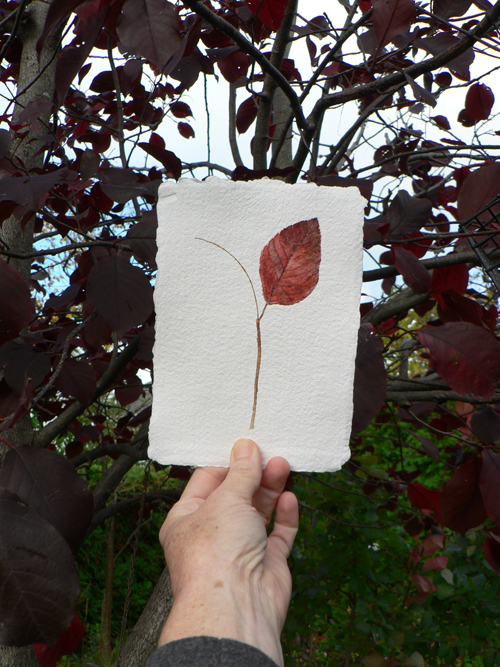 Last night I plucked a leaf from my Schubert chokecherry tree and painted it in my loft. 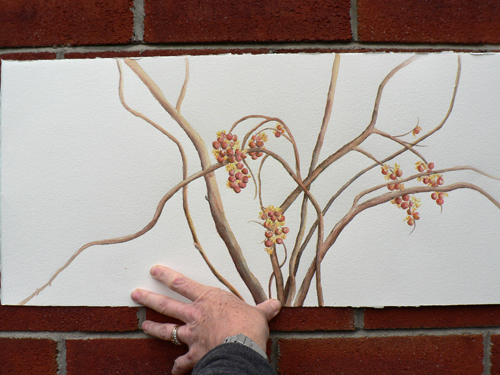 I love painting natural things, especially when holding them in my hand. You gain a special intimacy with the object as you are painting it. This is a tree I enjoy very much as it does things in a different way. 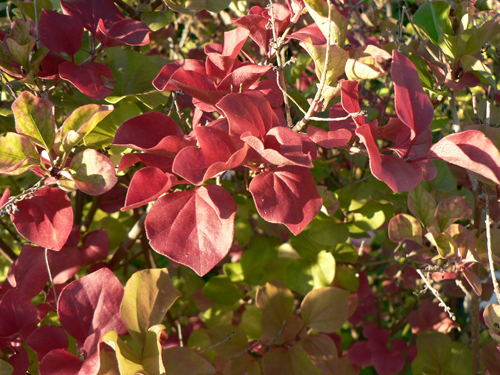 The leaves start out a fresh springy green and by June or so they darken to red. When my youngest daughter was about four, I remember her looking at the tree and asking me in June "Is it already autumn, Mama?". In the fall, the leaves darken to a deep wine colour. The birds love this tree. In midsummer, they eat the little chokecherries on it. It's also where I hang a couple of my birdfeeders. 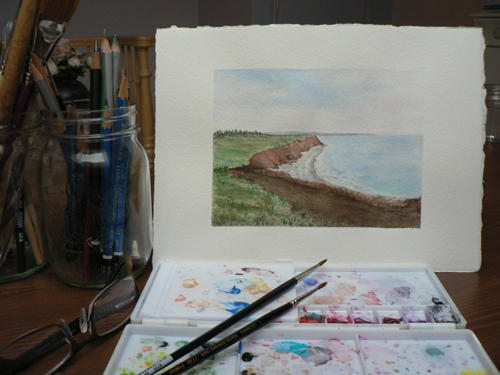 I have used beautiful Saint-Armand watercolour paper made in Montreal for this painting. I just love the four deckle edges. I am a paper lover whether in books or art. I would be a very unhappy person in a paperless world. 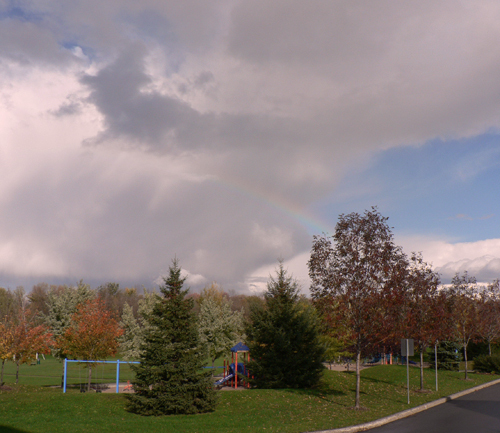 Two rainbows in one afternoon and it isn't over yet! "Walk on a rainbow trail; walk on a trail of song, and all about you will be beauty. There is a way out of every dark mist, over a rainbow trail." 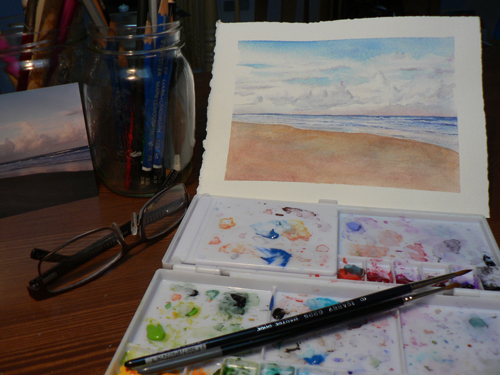 I am back in my studio this morning working on some finishing details on paintings I started a while back. Above are just some of the books I surround myself with in my loft. Our house is full to the brim with books. I've tried to organize them a little like a library. 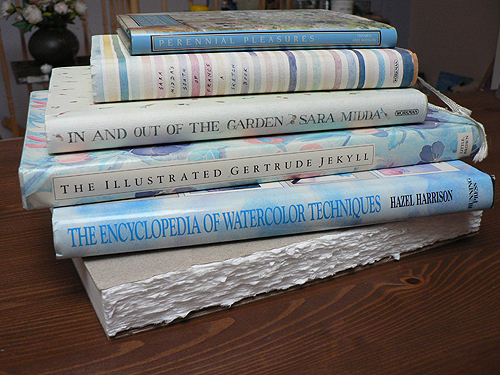 Books on art are in my loft. Works of fiction and books on decorating and home renovation are in bookcases on our upstairs floor near and in our bedrooms. Cookbooks are beside the kitchen. And then there are gardening books, more fiction and books on music and cinema in our basement. Yes, we have bookcases everywhere. I am working on some paintings I started a while ago. I am happy with parts of them and not with others. More work to do. It is hard to get to the point when I am truly satisfied. 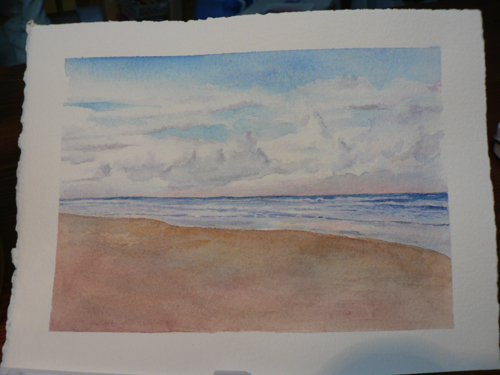 I really like how the clouds and water turned out, but I am not happy with the sand. Funny, you'd think sand would be the easiest part. I started this painting this summer. It is a scene from a trip I took to Australia years ago. I wish I could remember exactly which beach it is. For anyone who works in watercolour or is wanting to try it, the book by Hazel Harrison shown in the top photo is a very helpful reference. She describes the various techniques and has lots of examples by artists with all different styles. The examples are my favourite part of the book. The edition I have is only available second hand, but there is a revised edition available on Amazon. Hmmm, where should we file that? I know! Let's file it under 'it seemed like a good idea at the time'. In my joy at being past my deadline and perhaps because of guilt that I hadn't been walking Meeko as much as I should have the past few days, I decided to treat him. On our afternoon walk, we ventured away from the pathway we normally take and into the forest. I walk in the forest on a daily basis with Meeko during the wintertime. Apparently during the autumn, there are quite a number of burrs there. 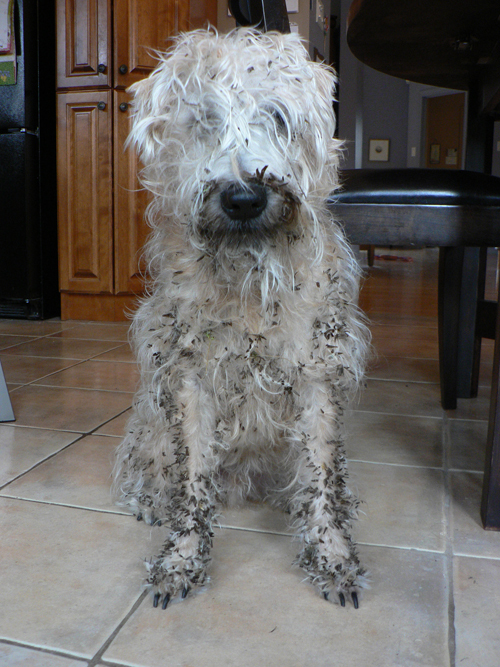 I first saw a big clump of burrs on my sweater sleeve. 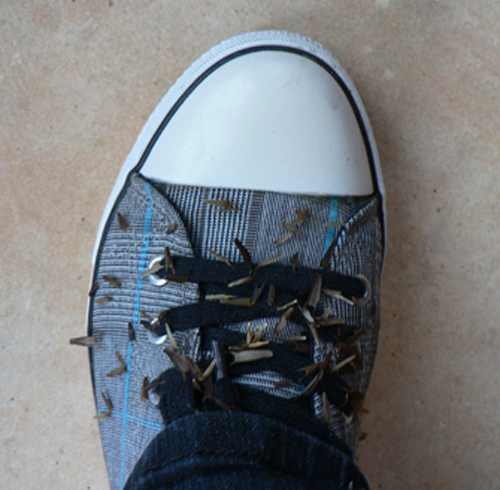 I actually jumped, as it looked like some sort of animal crawling up my arm. Then I looked down at Meeko. Oh my goodness! Poor fellow. 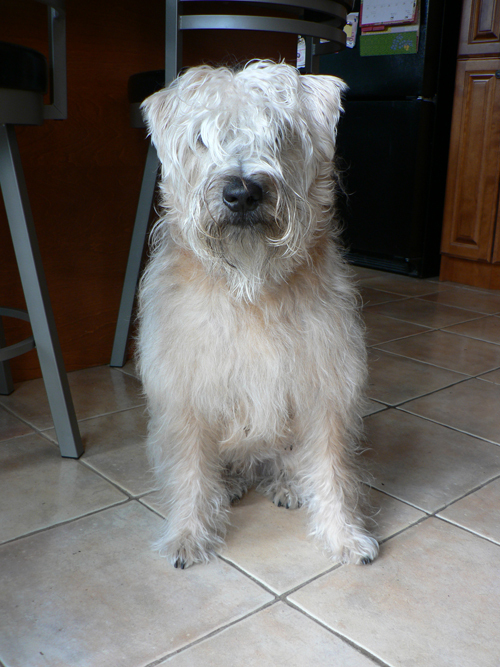 We came back from our walk sooner than planned and I have spent the last hour combing him. I won't pretend that either of us has had fun. He is looking a little more normal now--actually quite good. He is not only almost entirely burr-free but also knot-free. I am now going to relieve my stress level by painting a little in the loft. While I was tending to my computer woes and my show preparations, life went on around me. 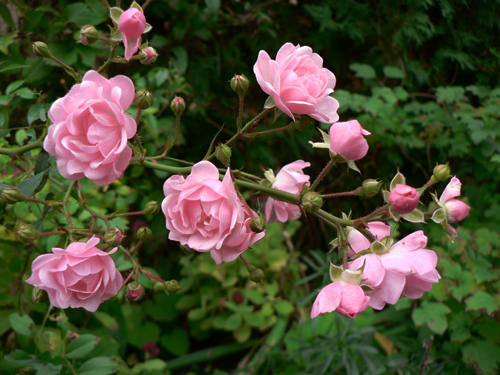 I am reacquainting myself with my garden, watering badly neglected pots and admiring the recent changes. I am spending a little more time with my family. (Oh I'm sorry, did I forget to feed you for the past week? Oops. Fortunately, they are pretty self sufficient.) I am resuming my long walks with Meeko who has been misbehaving I think because of my distracted state. And later today, once my show debris which I've managed to scatter over several floors is cleared, I will go upstairs and paint again. Last night the new hard drive was installed in my computer and most of the files have been saved. I have a little reconstitution work to do--reinstalling software programs and drivers and re-establishing our home network--but we are lucky in so many ways. My garden was full of lovely surprises. 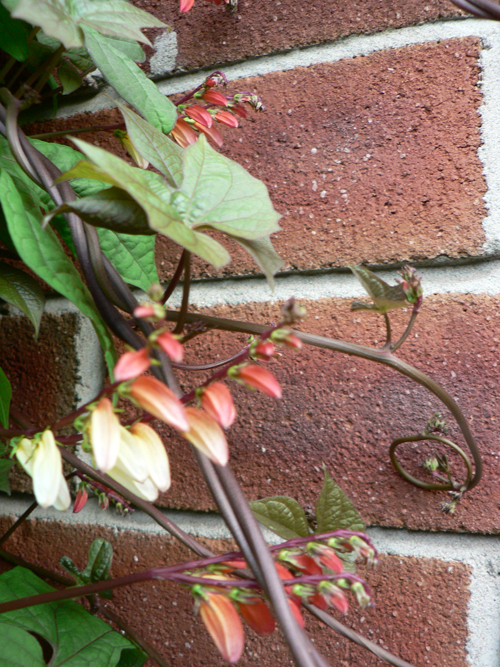 The spanish flag vine is in bloom. This is a true gift of my garden. I planted it several years ago and it reseeds itself each year. 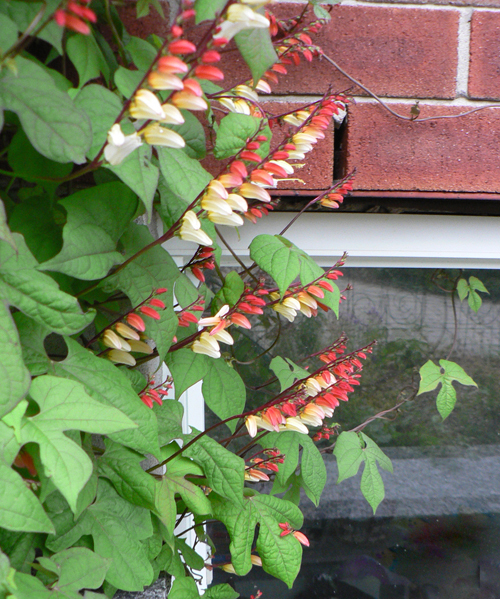 By the time the plant gets to the point of flowering, it is very late in the growing season, so I am never sure if I will be lucky enough to see its gorgeous fiery blooms. Even without the flowers, it is a pretty plant. The leaves are a lovely shape and I adore the swirly, spiral tendrils. I have a thing for curlicues. 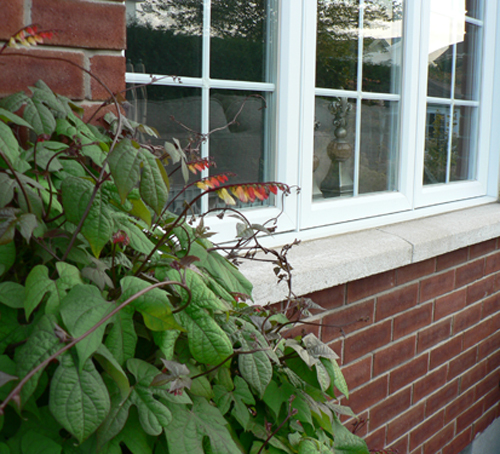 Elsewhere, the garden is a mix of summer and autumn. The leaves have changed colour and even fallen in places. Some of the annuals are showing the effects of a few frost-filled nights. 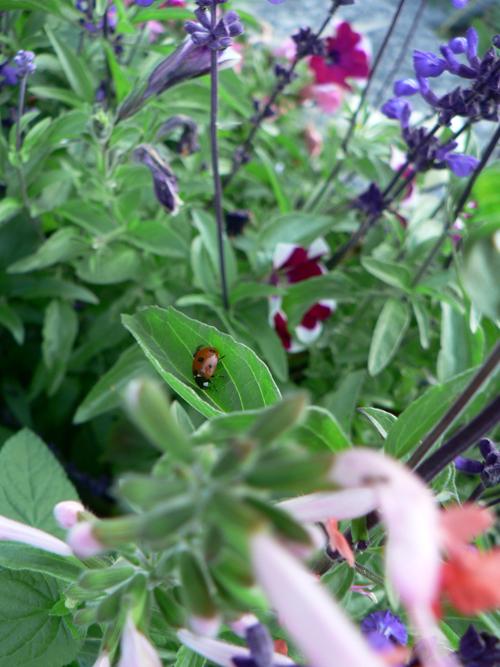 But there is still much colour and vibrancy to be enjoyed in the weeks ahead. The Boîte de Noël arts and crafts show takes place this weekend in Dorval, Quebec beginning tonight and running until Sunday afternoon. They have a Facebook page so you can see some of the artists' work as well as get details on the location and times. Click here. I can breathe again. I've just come back from delivering my merchandise to the arts and crafts show that I do each year. 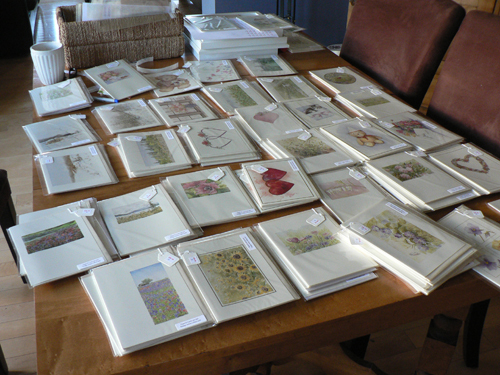 I delivered 374 items including packaged notecards, boxed gift cards, Christmas cards and my new framed reproductions. Phew! Usually I am pretty much a one-person factory. I also would ordinarily try to have the bulk of my preparations ready before our Thanksgiving weekend (it took place this past weekend in Canada). This time, with all of the production and computer troubles I had (including my C drive failing on Friday), I ended up having a ton of preparations still to do over the holiday weekend. My parents and sister Karen drove eight hours from Ontario to spend Thanksgiving with us. I'm not sure how much fun I was. They say that they still had a good time. :) At one point, I had both my mom and dad sitting at the dining table helping me with price tags! My husband took over all of the chef duties for our guests. I missed going to the apple orchard with everyone, but made good use of the quiet time I had in the house. The dinners each night with everyone around the table were wonderful. I am thankful that I have an understanding and helpful family. I'm so relieved that I made my delivery deadline. I came so close to cancelling my participation on Friday. 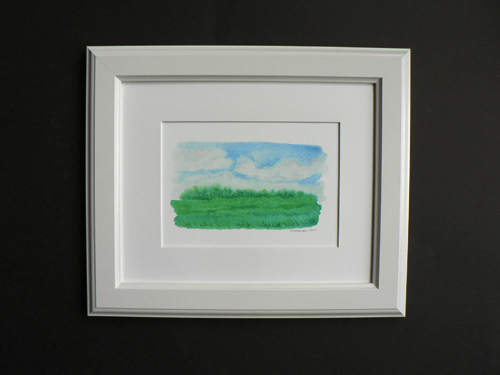 I am really proud of how the framed reproductions look. It is so important to me to be proud of what I produce. Next step is getting my Etsy shop up and off the ground. I am also looking forward to going back into my studio and working on a painting--it's been days since I've done anything except computer repair and product packaging! For those of you who live in the Montreal area, the arts and crafts show is called Boîte de Noël. It is a juried show that has been held annually since 1977. I've been a participant for over 16 years. The women who run it put a huge amount of energy and time into it. The whole show is set up like a boutique. It's at the Royal St-Lawrence Yacht Club at 1350 bord du lac in Dorval, Quebec on October 13 (6 p.m. to 9 p.m.), October 14 (10 a.m. to 9:00 p.m.), October 15 (10 a.m. to 5:00 p.m.) and October 16 (11:00 a.m. to 4:00 p.m.). 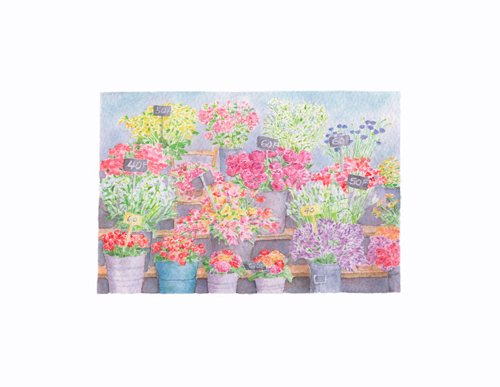 Here is the print of my painting called Parisian Flower Market. The colours have turned out well again. They are very close to the original painting (seen below). 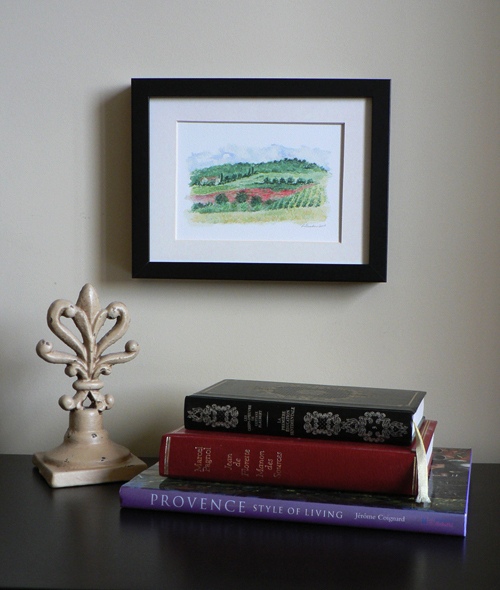 And here is a print of a painting I did of a poppy field in France. 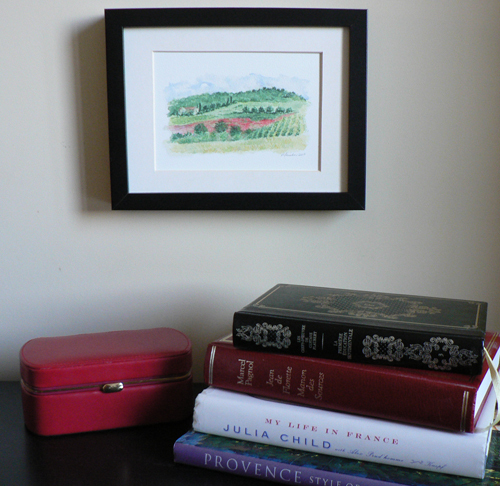 It is a painting I did 'en plein air' many years ago while on my honeymoon. 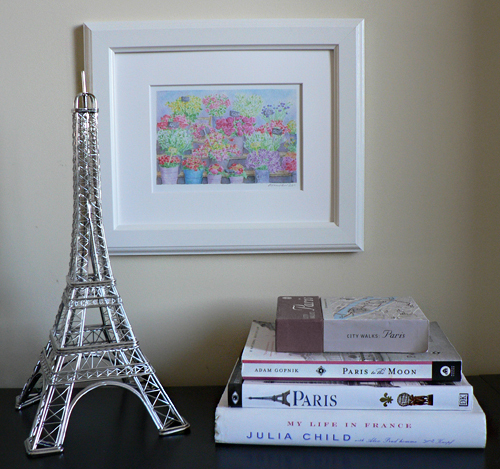 I found it tucked near the bottom of my painting drawer and thought that it would make a good print. 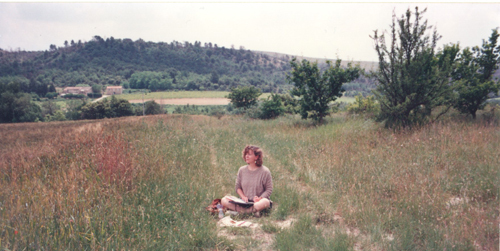 Here I am working on the painting shown above 'en plein air' many years ago. And now I am going to sign off until Wednesday. 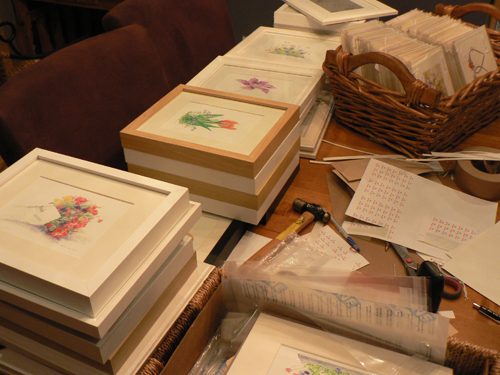 I need to concentrate on preparations for my arts & crafts show delivery, not to mention my Thanksgiving house guests. Have a good weekend and a good beginning to your week.